Yes. And, have you also attempted Weight Watchers, Slim Fast, Juice Plus, Clean 9 etc etc which have been partnered with a bag of crisps there, a Mars Bar here? A glass of wine or three in the evenings? Personally, in my experience of trying to shed residual baby weight stringent diets tend to fall by the wayside. As a parent there is too much temptation to snack on my children’s leftovers. Time is limited so you want an option you can grab quickly and that is straightforward. Something you can pop in your bag whilst you are on the run. So Shape offers an easy option for dieters, with the freedom that a meal a day is up to your choice so eating is not completely restricted. That is why overly restrictive fad diets leave me running for the crisp cupboard! So what is So Shape? Introducing the colourful French Smart Meal brand that has arrived in Britain amongst a flurry of positive reviews and a product that is chic, bright and surprisingly tasty! Offering what is essentially a meal replacement program its beautiful Instagram is filled with healthy meal ideas, product promotion and weight loss results. I was initially concerned that here was potentially another product focused on appearance over substance. This is totally not the case. As a company, they have been one of the most approachable, transparent and communicative that I have worked with. The brand offers three Challenges, a 5 Day Reboot, the 14 Day Remove or the 28 Day Reborn with the simple method that you consume two So Shape meals a day and eat one normal meal. The timescales of these are a positive selling point as for the discerning dieter a month may be achievable, likely enjoyable. For a first timer/someone with limited self-control (aka me) doing a 5 or 14 day stint is much more realistic and will likely also raise self-esteem and confidence in being able to complete the program. The price of this challenge is £89.00 averaging at just under £3 per meal. Perfect for mums with a busy lifestyle! I love the triangular instant meal based packets, all you need to do is add water! The Smart Meals take just two minutes to prepare and contain everything needed to boost energy, feel lighter and help tone up muscles. They are also packed with vitamins and minerals. One of the most positive points are that they are vegetarian, are high in protein and GMO free. For those with allergies they will be glad of the fact So Shape fully detail the ingredients and nutritional information of their dishes. One thing So Shape is definitely not lacking (as with other companies) is flavour choice, offering 22 gourmet options. We selected the two week program, the company suggested that we pick three sweet flavours, and three savoury ones so breakfasts and dinners will be balanced. I like the fact there are hot and cold options from frappes to risottos, you do not then feel like you are ingesting the same thing repetitively. So Shape also offer a handy guide of what you can eat in-between meals, which as a snacker I love as especially at first before my body started to step out of its gluttony I was a little hungry on occasion and the tips help me avoid the biscuit box. The list is full of healthy proteins and veggie suggestions that most people would have in the fridge anyway. No need to go out and spend a fortune on Chia seeds and overpriced honey. The challenge also encourages me to up my water intake, which is well below par so instead of grazing I used the flask that’s included, filled it with water, fruit and hydrated! So I didn’t crack and snack by dinner I chose to have a shake for breakfast, my own choice of lunch and a So Shape meal replacement option in the evening. The benefits being, avoiding the midday energy slump and also not eating a large meal too late at night which clogs up metabolism and results in delightful heartburn. Tip. To avoid potential powder clusters make a paste with just a little bit of water and then add the rest and SHAKE. The shake based breakfasts were so convenient for the school run where I often USED TO skip a meal. Not too thick, or too thin like some of its competitors’ products the amount filled me up perfectly and was surprisingly tasty. In response to the smattering of negative comments on the aesthetics of the lunches I always wonder at this as how is a packet meal meant to compare to a freshly prepared one. True, the meals do not look like a Van Gough painting but taste wise I was happy and especially enjoyed the pasta dishes. The soup consistency can be adjusted with water according to taste and I found that if cooked on the hob the meals had better consistency than the microwave. Fancy getting creative, just add a dash of paprika like I did to the green soup! One of the best things? You can still drink tea and coffee! No argument that it actually works. As a weight loss product is does work. The sachets themselves average around 200 calories so there can be a daily calorie deficit, but as you are in control over the open meal and snacks you control this. I found then I was not lacking in energy or feeling ravenous. The most positive thing for me as it eases you into a more stable eating habit which after a pregnancy filled with neglecting foods that weren’t a potato my body and brain needed some structure. For me a lifestyle changing point has been that So Shape prompted a detox of the masses of sugar I had been having but still allowed a sweet hit from the breakfast options. 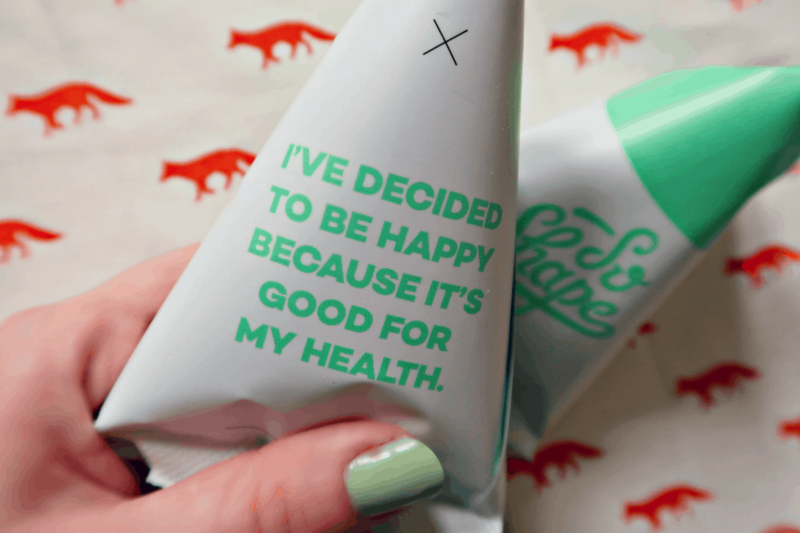 If you’d like to you can find out more about So Shape pop over at soshape.com and use our discount code THEPARENTINGJUNGLE10 to get 10% off 14 and 28-day Challenge. Are you trying to change negative eating habits, what do you find challenging when trying to make lifestyle changes? Have you tried So Shape and if so what did you think?